Why should I donate to United Way Peterborough & District? 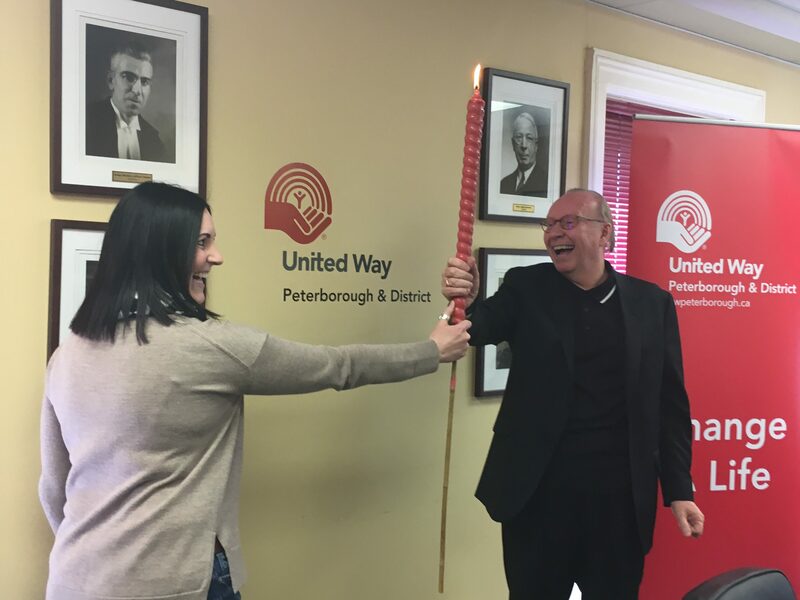 A single donation to United Way Peterborough means you are helping 16 local organizations to create hope and possibility for 60,000 people living in our community. Together, we make a difference every single day. Life is complicated — for the family living in poverty, the child struggling in school or the person living with a mental illness – there is often no single way to move forward. Our funding provides relief when basic needs such as food or shelter are nowhere to be found while also creating hope by helping job seekers to find work and youth to go on to graduate. These are only a few of the ways your donation creates change. When you give to United Way you are changing lives. Our work is focused on two priority areas — moving people from poverty to possibility and creating healthy and strong communities. To learn more about our work in these areas, please keep reading. People have access to safe, affordable, and nutritious food. People have improved housing stability. Seniors and individuals of working-age have the capacity to manage personal finances and build assets. Children & youth are able to achieve their education and training goals. Parents are supported to provide a nurturing environment for their children. People have the necessary skills to support personal and vocational success. Individuals of working-age are able to secure meaningful and fulfilling employment. Older adults are able to remain in their homes longer. Individuals and families affected by mental illness or addiction receive treatment and support. Survivors of violence or trauma are supported to recover and rebuild their lives. People are supported to build a sense of belonging and improve well-being. Why would I give through United Way Peterborough & District when I can give directly to an agency? When you give to United Way Peterborough, you are supporting more than one individual cause. You are supporting a big picture perspective that takes the needs of an entire community into account. Our most vulnerable residents are dealing with complex and interconnected issues. You can support these individuals by helping to fund a range of local programs and services that create a circle of care, providing both immediate and long-term support. How are Partner Agencies selected and funding amounts decided? We use a comprehensive allocation process to make decisions about where to invest donor dollars in our community. We begin with establishing an evidence-based model for building a strong community and alleviating pressing social issues. We then assess the suitability, alignment, and effectiveness of an organization’s ability to deliver on that vision. All applications are scored and assessed by a panel of volunteers and experts in areas such as finance, organizational management, and community development. These recommendations are then further vetted by our Community Impact Committee with final approval coming from our Board of Directors. But the work doesn’t stop there! United way Peterborough also monitors funded organizations to ensure ongoing operational effectiveness and achievement of funded outcomes. This process is a core principal of our work as we believe that donor dollars have to be invested wisely for the greatest impact in our community. Why aren’t all agencies a part of United Way Peterborough & District? There are many important programs in the community responding to individual and family needs. Our ongoing support of agencies is a business decision that involves a long-term financial commitment. In order to continue that support, we must make decisions that keep us within our financial abilities. The number of agencies or programs funded depends on campaign dollars raised. How long is funding provided to agencies? Why do some agencies have their own fundraising drives? United Way does not fund the entire budget of any of our agencies. All agencies are encouraged to seek out a variety of funding sources. For major expenses and initiatives, such as large-scale renovation, agencies often conduct their own fundraising drives. 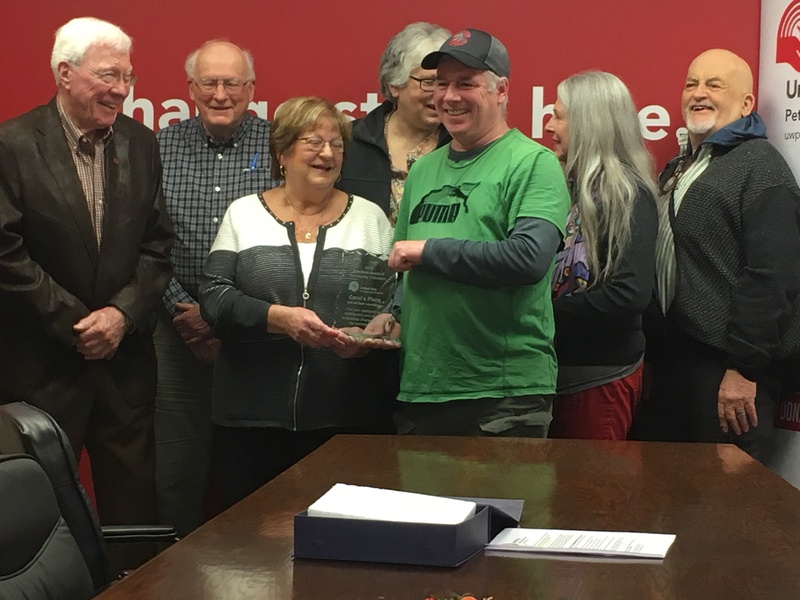 Do funds raised by United Way Peterborough & District stay in the community? Your investment goes far, but not far away! Unless directed by the donor to another United Way or registered charity, all donations stay right here in the City and County of Peterborough to help address the key social issues identified by our community. How much of my donation does UWP use for fundraising and administration costs? Fundraising costs represent 13% of the total funds raised and administrative overhead is only 7%. This means that 80 cents of every dollar raised is returned to the community. By comparison, the Canada Revenue Agency (CRA) considers 35% to be an acceptable standard. Every dollar donated and every dollar spent is accounted for in our independently audited financial statements contained in our annual report. In addition to running a workplace campaign, how can I support United Way? Organizations can become engaged in United Way’s work beyond running a workplace campaign by making a corporate donation; participating in United Way events; seconding or sponsoring an individual to the Sponsored Employee Program; special event sponsorships; Gift-in-Kind donations; and professional service contributions. If you have any other questions please give us a call at 705-742-8839 or email office@uwpeterborough.ca.